For the football club, see Club Deportivo Universidad César Vallejo. For the volleyball club, see CV Universidad César Vallejo. For the university, see Cesar Vallejo University. This name uses Spanish naming customs: the first or paternal family name is Vallejo and the second or maternal family name is Mendoza. César Abraham Vallejo Mendoza (March 16, 1892 – April 15, 1938) was a Peruvian poet, writer, playwright, and journalist. Although he published only three books of poetry during his lifetime, he is considered one of the great poetic innovators of the 20th century in any language. He was always a step ahead of literary currents, and each of his books was distinct from the others, and, in its own sense, revolutionary. Thomas Merton called him "the greatest universal poet since Dante". The late British poet, critic and biographer Martin Seymour-Smith, a leading authority on world literature, called Vallejo "the greatest twentieth-century poet in any language." He was a member of the intellectual community called North Group formed in the Peruvian north coastal city of Trujillo. 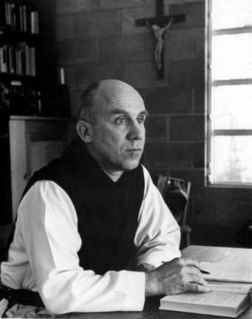 Thomas Merton was an American Trappist monk, writer, theologian, mystic, poet, social activist, and scholar of comparative religion. On May 26, 1949, he was ordained to the priesthood and given the name Father Louis. Martin Roger Seymour-Smith was a British poet, literary critic, biographer and astrologer. The North Group was an intellectual community comprising various writers, artists, philosophers, politicians, and intellectuals from Northern Peru, especially from the La Libertad Region. It was founded in 1915 in the city of Trujillo. At first known as the "Bohemians of Trujillo," the community adopted the name "the North Group" in 1923. Early leaders included journalist Antenor Orrego and poet José Eulogio Garrido. Its most prominent members included poet Cesar Vallejo, politician Victor Raul Haya de la Torre, Alcides Spelucín, Macedonio de la Torre, Juan Espejo Asturrizaga, Francisco Xandóval, and Ciro Alegría. This group inspired the work of Eduardo González Viaña, one of its modern successors. Clayton Eshleman and José Rubia Barcia's translation of The Complete Posthumous Poetry of César Vallejo won the National Book Award for translation in 1979. Clayton Eshleman is an American poet, translator, and editor, noted in particular for his translations of César Vallejo and his studies of cave painting and the Paleolithic imagination. Eshleman's work has been awarded with the National Book Award for Translation, the Landon Translation prize from the Academy of American Poets (twice), a Guggenheim Fellowship in Poetry, two grants from the National Endowment for the Arts, and a Rockefeller Study Center residency in Bellagio, Italy, among other awards and honors. José Rubia Barcia (1914–1997) was born in Ferrol (Galicia), where a cultural center dedicated to him now houses his library and a collection of his papers. He studied Arabic and Hispano-Arabic literature at the University of Granada. After completing his degree he held important positions in the Spanish Republican Army during the Spanish Civil War and as a consequence he went into exile, first to France and then to Cuba and then to the United States. Here he worked in Hollywood with the Spanish film director Luis Buñuel. Barcia published a great number of books and articles on Valle Inclán, Unamuno, Federico García Lorca and other writers of the 20th century. He was also an author of political essays. Monument to César Vallejo at National University of San Marcos, where he studied. Santiago de Chuco is a city in Peru, capital of Santiago de Chuco Province, La Libertad Region. The Andes or Andean Mountains are the longest continental mountain range in the world, forming a continuous highland along the western edge of South America. This range is about 7,000 km (4,300 mi) long, about 200 to 700 km wide, and of an average height of about 4,000 m (13,000 ft). The Andes extend from north to south through seven South American countries: Venezuela, Colombia, Ecuador, Peru, Bolivia, Chile and Argentina. Lack of funds forced him to withdraw from his studies for a time and work at a sugar plantation, the Roma Hacienda, where he witnessed the exploitation of agrarian workers firsthand, an experience which would have an important impact on his politics and aesthetics. Vallejo received a BA in Spanish literature in 1915, the same year that he became acquainted with the bohemia of Trujillo, in particular with APRA co-founders Antenor Orrego and Victor Raul Haya de la Torre. The American Popular Revolutionary Alliance - Peruvian Aprista Party is a centre-left Peruvian political party. Antenor Orrego Espinoza was a Peruvian writer and political philosopher of Basque ancestry. He was a member of the American Popular Revolutionary Alliance (APRA). The Universidad Privada Antenor Orrego, founded in Trujillo, Peru in 1988, is named for him. In 1911 Vallejo moved to Lima, where he studied at National University of San Marcos, read, worked as a schoolteacher, and came into contact with the artistic and political avant-garde. While in Lima, he also produced his first poetry collection, Los heraldos negros. Despite its stated publication year of 1918, the book was actually published a year later. It is also heavily influenced by the poetry and other writings of fellow Peruvian Manuel González Prada, who had only recently died. Vallejo then suffered a number of calamities over the next few years: he refused to marry a woman with whom he had an affair; and he had lost his teaching post. The National University of San Marcos is a public research university in Lima, capital of Peru. Also known as the "Dean university of the Americas", it is the first officially established and the longest continuously operating university in the Americas. His mother died in 1918. In May 1920, homesickness drove him to return to Santiago de Chuco. On the first of August, the house belonging to the Santa María Calderón family, who transported merchandise and alcohol by pack animals from the coast, was looted and set on fire. Vallejo was unjustly accused as a both a participant and instigator of the act. He hid but was discovered, arrested, and thrown in a Trujillo jail where he would remain for 112 days (From November 6, 1920 until February 26, 1921). On December 24, 1920 he won second place (first place was declared void) from the city hall of Trujillo for the poem, "Fabla de gesta (Tribute to Marqués de Torre Tagle)". Vallejo competed by hiding his identity with a pseudonym in an attempt to give impartiality to the competition. In the work, "Vallejo en los infiernos",  the author, a practicing lawyer, Eduardo González Viaña revealed key pieces of judicial documentation against the poet and showed deliberate fabrications by the judge and his enemies to imprison him. It indicted the victims but excluded prosecution to those criminally involved. They invented testimonies and attributed them to people who subsequently declared that they had never been to Santiago de Chuco, the place of the crime. Finally, the material author was escorted to Trujillo to testify before the Supreme Court. However, on the long journey, the gendarmes, French police officers, that guarded him, shot and killed him under the pretext that he had attempted to escape. Moreover, the author has investigated the other actions of the judge ad hoc. In truth, he was a lawyer for the large reed business "Casagrande" and of the "Quiruvilca" mine where the employees operated without a schedule and were victims of horrific working conditions. All of this highlights the political character of the criminal proceedings. With Vallejo it had tried to mock his generation, university students that attempted to rise up against the injustice and embraced anarchism and socialism, utopias of the century. The judicial process was never closed. The poet left jail on behalf of a temporary release. Years later in Europe, he knew that he could never return to his home country. Jail and the "hells" revealed in this novel awaited him with an open door. In 2007 the Judiciary of Peru vindicated Vallejo's memory in a ceremony calling to the poet unfairly accused. Nonetheless, 1922 he published his second volume of poetry, Trilce, which is still considered one of the most radically avant-garde poetry collections in the Spanish language. After publishing the short story collections Escalas melografiadas and Fabla salvaje in 1923, Vallejo emigrated to Europe under the threat of further incarceration and remained there until his death in Paris in 1938. Monument to César Vallejo in Lima. The engraving in Spanish quotes Vallejo "There is, brothers, very much to do." His European years found him living in dire poverty in Paris, with the exception of three trips to the USSR and a couple of years in the early 1930s spent in exile in Spain. In those years he shared the poverty with Pablo Picasso. In 1926 he met his first French mistress, Henriette Maisse, with whom he lived until a breakup in October 1928. In 1927 he had formally met Georgette Marie Philippart Travers (see Georgette Vallejo), whom he had seen when she was 17 and lived in his neighborhood. This was also the year of his first trip to Russia. 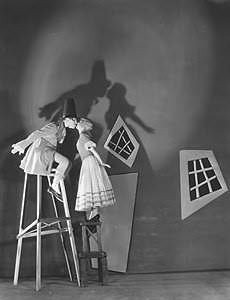 They eventually became lovers, much to the dismay of her mother. Georgette traveled with him to Spain the end of December 1930 and returned in January 1932. In 1930 the Spanish government awarded him a modest author's grant. When he returned to Paris, he also went on to Russia to participate in the International Congress of Writers' Solidarity towards the Soviet Regime (not to be confused with the First Congress of Soviet Writers of 1934, which solidified the parameters for Socialist Realism). Back in Paris Vallejo married Georgette Philippart in 1934. His wife remained a controversial figure concerning the publication of Vallejo's works for many years after his death. A regular cultural contributor to weeklies in Lima, Vallejo also sent sporadic articles to newspapers and magazines in other parts of Latin America, Spain, Italy, and France. His USSR trips also led to two books of reportage he was able to get published early in the 1930s. Vallejo also prepared several theatrical works never performed during his lifetime, among them his drama Colacho Hermanos o Los Presidentes de America which shares content with another work he completed during this period, the socialist-realist novel El Tungsteno. He even wrote a children's book, Paco Yunque. After becoming emotionally and intellectually involved in the Spanish Civil War, Vallejo had a final burst of poetic activity in the late 1930s, producing two books of poetry (both published posthumously) whose titles and proper organization remain a matter of debate: they were published as Poemas humanos and España, aparta de mí este cáliz. He died on April 15, 1938,  of an unknown illness now thought to have been a form of malaria,[ citation needed ] an event fictionalized in Roberto Bolaño's novel Monsieur Pain. Originally buried in the Montrouge Cemetery, Vallejo's remains are now in the Cimetière du Montparnasse in Paris. At the beginning of 1938, he worked as a language and literature professor in Paris,  but in March, he suffered from physical exhaustion. On March 24 he was hospitalized for an unknown disease (it was later understood that it was the reactivation of a malaria disease he had suffered as a child) and on April 7 and 8, he went into critical condition. He died a week later, on the 15th, a holy, rainy Friday in Paris, but not on a Thursday, as he supposedly predicted in his poem «"Black Stone on a White Stone"». He was embalmed. His funeral eulogy was written by the French writer, Louis Aragon. On the 19th, his remains were transferred to the Mansion of Culture and later to the Montrouge cemetery. Los Heraldos Negros (The Black Messengers) was completed in 1918, but not published until 1919. Robert Bly, in the 1993 edited volume Neruda and Vallejo: Selected Poems, describes it as "a staggering book, sensual, prophetic, affectionate, wild," and as "the greatest single collection of poems I have ever read." The title is likely suggestive of the four horsemen of the apocalypse, as the book itself touches on topics of religiosity, life and death. There are blows in life, so powerful . . . I don't know! were to dam up in the soul . . . I don't know! in the fiercest face and in the strongest side. or the black heralds Death sends us. of some revered faith Destiny blasphemes. that burns-up on us at the oven's door. is dammed up, like a pond of guilt, in his gaze. Trilce , published in 1922, anticipated much of the avant-garde movement that would develop in the 1920s and 1930s. Vallejo's book takes language to a radical extreme, inventing words, stretching syntax, using automatic writing and other techniques now known as "surrealist" (though he did this before the Surrealist movement began). The book put Latin America at the center of the Avant-garde. Like James Joyce's Finnegans Wake,Trilce borders on inaccessibility. In España, aparta de mí este cáliz (Spain, Take This Chalice from Me), Vallejo takes the Spanish Civil War (1936–39) as a living representation of a struggle between good and evil forces, where he advocates for the triumph of mankind symbolised in the salvation of the Second Spanish Republic (1931–39) that was being attacked by fascist allied forces led by General Franco. In 1994 Harold Bloom included España, Aparta de Mí Este Cáliz in his list of influential works of the Western Canon. Poemas Humanos(Human Poems), published by the poet's wife after his death, is a leftist work of political, socially oriented poetry. Although a few of these poems appeared in magazines during Vallejo's lifetime, almost all of them were published posthumously. The poet never specified a title for this grouping, but while reading his body of work his widow found that he had planned a book of "human poems", which is why his editors decided on this title. Of this the poet's last written work, it was said  "... after a long silence, as if the presentiment of death might have urged him, he wrote in a few months the Poemas humanos." Vallejo wrote five plays, none of which were staged or published during his lifetime. Mampar is the subject of a critical letter from French actor and theatre director Louis Jouvet which says, in summary, "Interesting, but terminally flawed". It deals with the conflict between a man and his mother-in-law. The text itself is lost, assumed to have been destroyed by Vallejo. Lock-Out (1930, written in French; a Spanish translation by Vallejo himself is lost) deals with a labour struggle in a foundry. Monument to César Vallejo in the Jesus Maria District of Lima, Peru. Entre las dos orillas corre el río (1930s) was the product of a long and difficult birth. Titles of earlier versions include Varona Polianova, Moscú contra Moscú, El juego del amor, del odio y de la muerte and several variations on this latter title. Colacho hermanos o Presidentes de América (1934). Satire displaying Peruvian democracy as a bourgeois farce under pressure from international companies and diplomacy. La piedra cansada (1937), a poetic drama set in the Inca period and influenced by Greek tragedy. Vallejo published a chronicles book entitled Russia in 1931. Reflections at the foot of the Kremlin (Madrid, 1931) and prepared another similar book for the presses titled Russia before the second five-year plan (finished in 1932 but was later published in 1965). Also, he organized two prose books about essay and reflection: Against Professional Secrecy (written, according to Georgette, between 1923 and 1929), and Art and Revolution (written between 1929 and 1931), which bring together diverse articles, some which were published in magazines and newspapers during the lifetime of the author. No Spanish editorial wanted to publish these books because of their Marxist and revolutionary character. They would later be published in 1973. El tungsteno (1931). A social realist novel depicting the oppression of native Peruvian miners and their communities by a foreign-owned tungsten mine. Towards the kingdom of the Sciris (1928) is a historic short story dealing with the Incan theme. Fabla Salvaje (1924) Literally 'Wild Language', is a short novel which follows the insanity of a character who lives in the Andes. The children's book, "Paco Yunque", was rejected in Spain in 1930 for being too violent for children. But after it was published in Peru in the 1960s, it became mandatory reading in the elementary schools in Peru. Rusia en 1931, reflexiones al pie del Kremlin (Russia in 1931, reflections on foot of the Kremlin), first published in 1931, is a journalistic work describing Vallejo's impressions of the new socialist society that he saw being built in Soviet Russia. Rusia ante el II Plan Quinquenal is a second work of Vallejo's chronicles of his travels in Soviet Russia, focusing on Joseph Stalin's second Five Year Plan. The book, originally written in 1931, was not published until 1965. The Pulitzer-prize winning American dramatist Sam Shepard wrote in "Cruising Paradise" (1997) that Cesar Vallejo is his favorite poet. Shepard's previous title, "Motel Chronicles", begins with an inscription from a Vallejo poem, "...never did far away charge so close." German-born American author Charles Bukowski wrote a poem about Vallejo in his posthumously published book What matters most is how well you walk through the fire. American poet Joe Bolton adapted several sections of Trilce in his book Days of Summer Gone (Galileo Press, 1990). The Swedish film Songs from the Second Floor (2000), directed by Roy Andersson, quotes Cesar Vallejo's work as a recurring motif. Greek singer and songwriter Thanasis Papakonstantinou wrote a song about Vallejo, sang by Sokratis Malamas. Malanga Chasing Vallejo: Selected Poems of César Vallejo with New Translations and Notes (Edited, Translated and with an Introduction by Gerard Malanga; also includes original and translated correspondence between the translator and Vallejo's widow Georgette de Vallejo) Three Rooms Press. ISBN 978-0-9895125-7-2 (Trade Paperback) and 978-1-9411101-0-2 (ebook). I'm going to speak of hope (Translator: Peter Boyle) Peruvian Consulate Publication. Poemas Humanos, Human Poems, by César Vallejo, a bilingual edition translated by Clayton Eshleman. Copyright 1968. Grove Press, 1969, xxv + 326 pp. ISBN 978-84-376-0731-3. Antonio Machado, in full Antonio Cipriano José María y Francisco de Santa Ana Machado y Ruiz, was a Spanish poet and one of the leading figures of the Spanish literary movement known as the Generation of '98. His work, initially modernist, evolved towards an intimate form of symbolism with romantic traits, which itself matured towards a style characterised by both an engagement with humanity on one side and an almost Taoist contemplation of existence on the other, a synthesis that according to Machado echoed the most ancient popular wisdom. In Gerardo Diego's words, Machado "spoke in verse and lived in poetry." Michael Smith (1942-2014) was an Irish poet, author and translator. A member of Aosdána, the Irish National Academy of Artists, Michael Smith was the first Writer in-Residence to be appointed by University College, Dublin and was an Honorary Fellow of UCD. He was a poet who gave a lifetime of service to the art of poetry both in English and Spanish. He has been described as a classical modernist, a poet of modern life. Oliverio Girondo was an Argentine poet. He was born in Buenos Aires to a relatively wealthy family, enabling him from a young age to travel to Europe, where he studied in both Paris and England. He is perhaps most famous for his participation in the magazines, which ushered in the arrival of ultraism, the first of the vanguardist movements to settle in Argentina. The National University of Trujillo (UNT) is a major public university located in Trujillo, Peru, capital of the department of La Libertad. The university was founded by Simón Bolívar and José Faustino Sánchez Carrión, who met in Huamachuco; they signed the decree of foundation on May 10, 1824, before Peru's independence from Spain. National University of Trujillo, was the first republican university founded in Peru. Marco Martos Carrera is a Peruvian poet and the President of the Academia Peruana de la Lengua. It's assumed from critics to be one of the most important persons of the Peruvian "60's generation". Critics also appoints that he uses a simple way of expression with an ironic way to project the life. We can find in his work topics like 'loneliness' and 'existentialism'. Club Deportivo Universidad César Vallejo is a Peruvian football club located in Trujillo. The club was founded on January 6, 1996 and was promoted in 2003, through the Copa Perú, to the Peruvian First Division and relegated in 2005. In 2007, they were Segunda División champions and were promoted to the first division again. Rebecca Seiferle is an American poet. Mohsen Emadi is an award-winning Iranian poet, translator and filmmaker. Paco Yunque is a children's story originally written in Spanish by Peruvian poet César Vallejo and first published (posthumously) in 1951. Cesar Acuña Peralta is a Peruvian politician and entrepreneur in the field of education. He was born in the village of Ayaque, Tacabamba District, province of Chota, Cajamarca Region. He has served as mayor of Trujillo since 2007. James Wagner is an American poet. The poet and critic Joyelle McSweeney wrote that the poems in his first collection, the false sun recordings, "form a semi-coherent push-me/pull-you-type dialogue about stability and wholeness, by turns humorous... and serious. In recent works such as The Idiocy and Query/Xombies, Wagner focuses on the searching qualities of human existence, whether through logical argument, or through the medium of the search engine, nominally the modern oracle. His third and most recent collection of poetry, Thrown, poems to paintings by Bracha L. Ettinger, was cited by poet Eileen Tabios for its imaginative intensity, ambition and lyrical prowess. Trilce is the best-known book by the Peruvian poet César Vallejo, and is considered, thanks to its lexicographical and syntactical boldness, as a major work of international modernism and a poetic masterpiece of the avant-garde in Spanish. Los heraldos negros is the title of a collection of poems written by the Peruvian poet César Vallejo between the years 1915 and 1918 and published in July 1919. It was the first book of Vallejo's to be published. Los heraldos negros is also the name of the first poem in the collection. ↑ ""César Vallejo fue uno de los creadores del cuento-ensayo"". La República (in Spanish). 16 January 2005. Retrieved 23 April 2009. ↑ |González Echevarría, Roberto , "Revolutionary Devotion", The Nation . 3 May 2007. Retrieved on 17 August 2017. ↑ González Viaña, Eduardo (2008). Vallejo en los infiernos. Barcelona: Alfaqueque. ISBN 9788493627423. ↑ Judiciary of Peru (ed.). "(spanish) Reivindicación de Vallejo" (PDF). Retrieved November 17, 2012. ↑ LATIN POETS UK (ed.). "Cesar Vallejo Tribute 2012" . Retrieved November 6, 2012. ↑ Kinsbruner, Jay (2008). Encyclopedia of Latin American history and culture. Detroit: Gale. pp. 274–275. ↑ "Cesar Vallejo". britannica.com. Retrieved 2017-03-01. ↑ "The Black Heralds" (PDF). Retrieved December 21, 2012. ↑ "César Vallejo". Martin Carter (1927-1997). Retrieved March 4, 2017. FOR CESAR VALLEJO (I): Brother, let us now break our bread together. My plate is a small world. My world is a small plate. From a place in which plates and worlds are utensils we have reconstructed our selves, with a power of difference. The parrots call your name, fertile as rain. My habit of utterance kneels down at the sound of it. I who only wanted to be and to have a name. FOR CESAR VALLEJO (II): Proud of being coarse, we coarsen people, making the act an issue. Even cockroaches have begun to flee from some of our very houses. They knowing better their inevitable destination better than many of us do. flaunt their insect pride, less coarse than ours. They scorn us, which, I, think, is why they flee so many of our dirty houses. ↑ Empire of Dreams, introduction by Alicia Ostriker . Yale University Press. 1994. ISBN 0-300-05795-4. ↑ Yo-Yo Boing!, Introduction by Doris Sommer, Harvard University. Latin American Literary Review Press. 1998. ISBN 0-935480-97-8. ↑ United States of Banana. Amazon Crossing. November 2011. ISBN 9781611090673. “Vallejo on Language and Politics,” Letras hispanas: Revista de literatura y cultura, Rolando Pérez, 2008. César Vallejo (1892–1938); Vida y obra, Revista Hispánica Moderna, New York, 1950. Wikimedia Commons has media related to César Vallejo . Interview with Vallejo, the only extant interview with Vallejo, 1931.